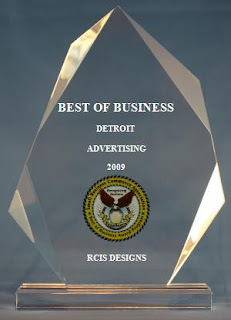 The Small Business Commerce Association (SBCA) is pleased to announce that RCIS Designs has been selected for the 2009 Best of Business Award in the Advertising category. Very Cool! My company is a Best Business of Detroit!